I've never seen anything like this masterpiece of a movie. The story is so simple and could easily be skipped over by the booming and ever changing atmosphere of Hollywood - but I think that's why it's up for five Oscars. It's not flashy and cliche like other coming of age stories you'll find in movie theaters these days. Lady Bird is a love story between a girl and her mother who fight and cuss and make up like any other mother-daughter relationship in the world. In an interview, Greta Gerwig, the director, said, "None of it really happened but it's all true." She wrote this movie in the rawest form there is, taking from her past experiences and intertwining them with fresh, memorable characters and events that anyone can relate to. She's nominated for best director in the 90th annual Oscars as the fifth woman in history, also best original screenplay. 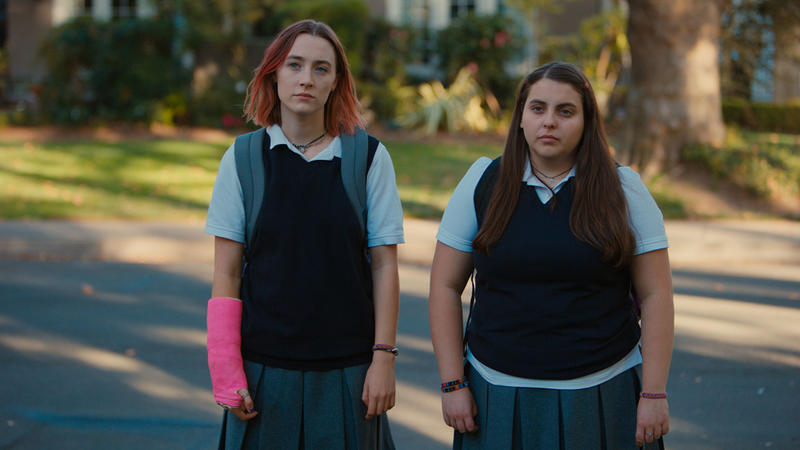 The movie stars Saoirse (rhymes with inertia) Ronan as Christine "Lady Bird" McPherson and Laurie Metcalf as Marion McPherson, Lady Bird's mother. Their chemistry on screen is beautiful and their stand alone acting is even more powerful. I'll leave it at many tears were shed from my mother and I sitting side by side in the red leather seats. 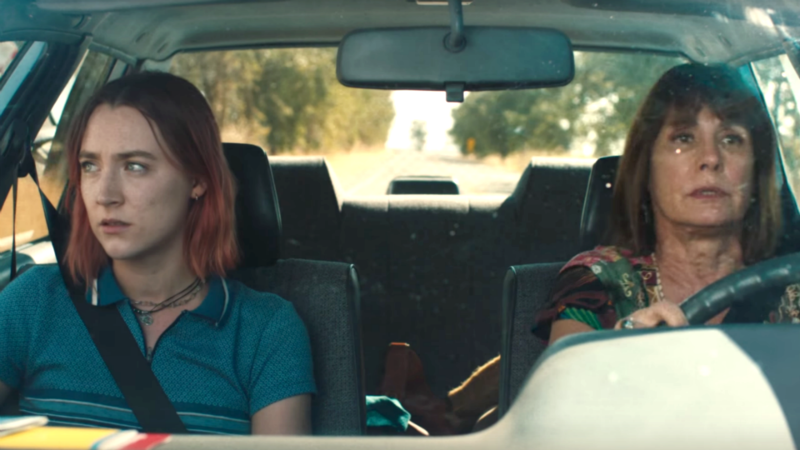 The story is told in snapshots of youth, taking from separate parts of Lady Bird's senior year of high school, leading up to college. In an interview concerning teengagehood, Saoirse Ronan said, "Everything's so big and so intense and it feels like its the only thing that will ever matter and then it's gone." That's how the plot moved, one thing after another, living in the moment then watching the moment float away. One minute they were wearing western costumes at a themed dance and the next they were laughing in the kitchen with cigarettes between their fingertips. It wasn't fast paced or hard to follow, but it "had a heart beat" which Ronan commented in the same interview mentioned above. Leaving the theater, all I could think was, "This is the kind of art I want to make." Brutality honest and fresh, not sugar coating anything but bringing tasteful comedy into contemporary realism. And with that, thank you Greta Gerwig for being the inspiration you are.